500 Startups founder Dave McClure says it will likely be a couple of months before the first Sacramento entrepreneurs receive startup funds. Sacramento Mayor Kevin Johnson's State of the City address included a proposal for the city to invest in between 4 and 6 entrepreneurs, but a venture capital group is ready to invest even more in area businesses. 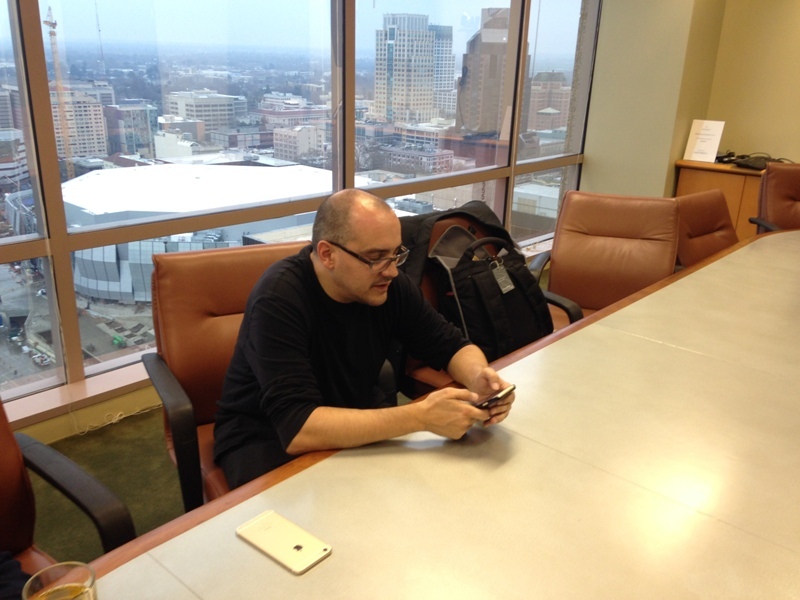 Dave McClure is a founder of 500 Startups. He says the company has invested $200 million in 1,500 companies worldwide since 2010 and will invest more in Sacramento. He says startups are volatile, which means it's a good idea to invest in many of them. "We can generate returns from maybe about a third of our investments: 20-to-30 percent we think. We think we can get bigger economic returns from maybe 5-to-10 percent: perhaps 10-20 [times] kind of returns and then maybe from a very small percentage — maybe one or two percent — we might see really really big returns that might be 50 or 100 [times]. The owner of a Sacramento-based legal services company, Quick Legal, says having a group like 500 Startups in town will help spur business. Derek Bluford believes more of the profits will go to the people who had the "big ideas." "There's TV shows that show investors willing to invest into a company, but they want controlling interest and were generally over 50 percent in equity. It's nice to have investors or 500 Startups invest for such a low equity amount, not only to provide money, but to provide resources to help you grow your company and turn it into something profitable. It's a great resource to have." 500 Startups plans to begin meeting with Sacramento State, UC Davis, and Sacramento-area entrepreneurs in the coming weeks with the first investments perhaps coming in a couple of months. Kevin Johnson gave his final State of the City address Thursday evening and made several announcements about business and money coming to the city.